FarmaForce Limited is an ASX-listed contract sales organisation (CSO) offering innovative sales solutions to the Australian healthcare industry. Since inception in 2014, the company has grown its revenue, clients and staff to become one of the leading CSOs in the growing Australian healthcare sector. More than just a salesforce, FarmaForce builds direct sales operations for clients to help them reach their business goals, avoiding the expense and management resources required to recruit and train in-house salespeople. FarmaForce is a member of The iQ Group Global. With the accelerated growth of the Australian population and the growth of the aging population, it is expected the pharmaceutical market will exceed $25 billon by 2020. An increasing number of international companies are entering the Australian healthcare market and looking for strong sales partners to help them navigate the complexities and intricacies of the healthcare system and environment. There are between 8,000 and 9,700 field-based representatives in Australia and around 5% of these are now outsourced. It is expected this figure will continue to climb to mirror the UK market, where it is 30%, and the US, where it is 9%. More drug companies are reviewing their cost structures and finding new ways to improve their returns in a competitive market with drug pipelines contracting. Salesforce outsourcing is emerging as a cost-effective alternative to building in-house sales teams. FarmaForce has grown its market share by securing new contracts and clients, and executing sales contracts that facilitate synergies across its operations. This has resulted in a cumulative revenue increase of 264% between 2016 and 2018. FarmaForce is a best-in-class CSO and has received industry recognition by winning Sales Team of the Year at the 2016 and 2018 PRIME Awards. It has also been recognised by healthcare practitioners as the number one Australian CSO. The FarmaForce board draws on decades of experience delivering results in the healthcare industry. Together, the directors set the strategy and ensure high levels of success and governance. George has more than 30 years’ experience providing accounting and business advisory services, and has been Chairman of the board since 2015. 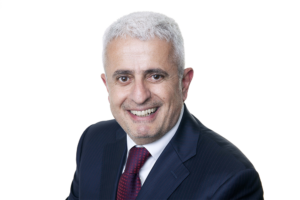 George is Principal of Elias Financial Services, an Authorised Representative of Count Financial Limited, and a member of the Australian Institute of Company Directors. George is Executive Chairman and CEO of The iQ Group Global. Between 1995 and 2005 he founded and led The Bionuclear Group SA as CEO and Chairman, incorporating Antisoma SA, Bionuclear Institute of Diagnosis and Therapy SA, Bionuclear Research and Development SA and Vitalcheck SA. 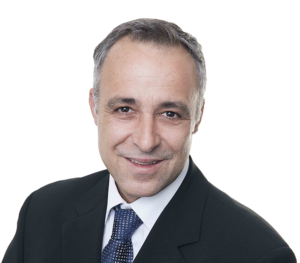 Con has more than 21 years’ experience in business and investor relations in the wholesale and retail sectors. As a director of iQnovate since its inception, Con has been responsible for executing the company’s investor relations and capital raising strategy. 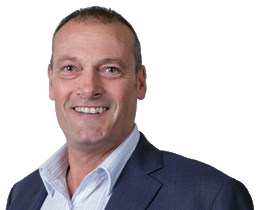 Harry has been General Manager of FarmaForce since 2016 and has more than 25 years’ experience in global executive management roles in healthcare in Australia and Asia. 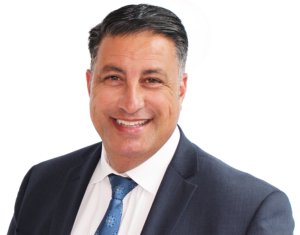 Prior to joining FarmaForce he was CEO of GE Healthcare Australia for more than nine years, as well as a Director of GE Healthcare. Please complete the form and one of the Investor Relations team will contact you shortly to assist with your enquiry.